Attractive versatile and creative, nothing matches the beauty of a custom crafted cedar fence. 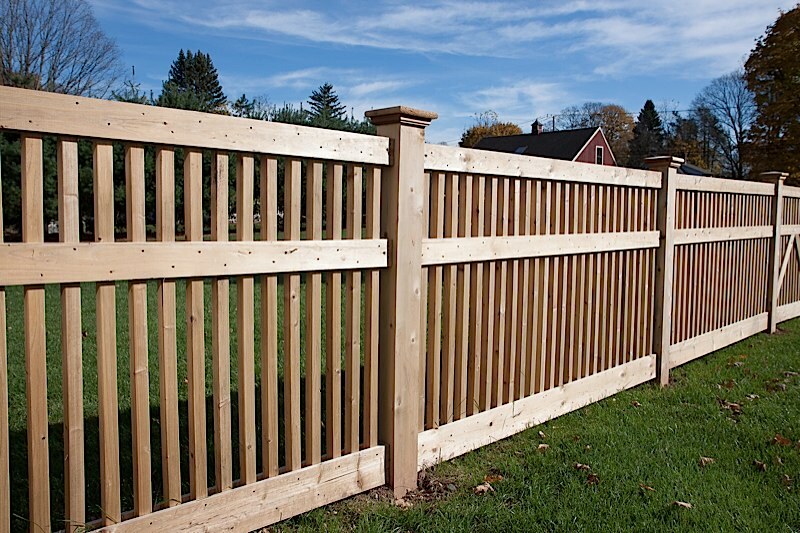 Northern white cedar CT fencing offers many years of durability, value and a natural resistance to insects and decay. The sheer beauty of cedar is the primary reason to select it as your fencing material. 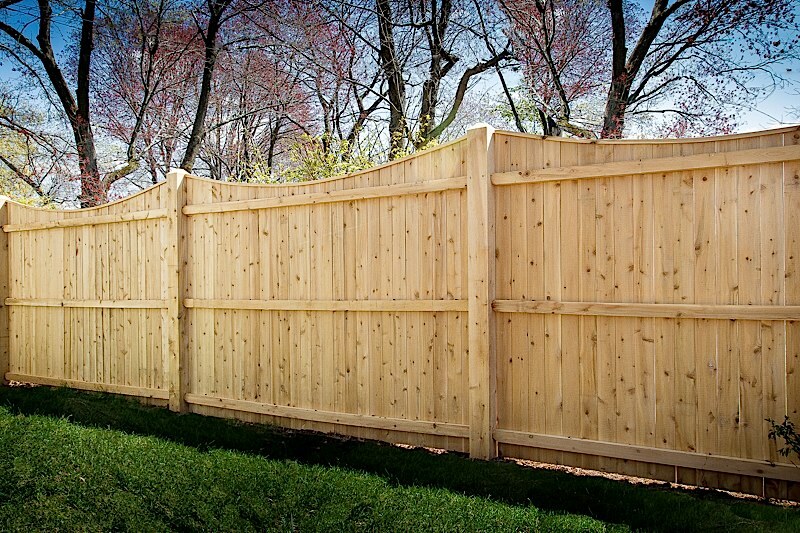 A properly designed, finely crafted and skillfully installed wood fence takes on an individual quality all its own independent of its surroundings. Matched to the style of your house and grounds, it will enhance your home's appearance and add to its value. All of our cedar CT fencing styles are hand built in house by skilled craftsmen who let you design a wide range of styles limited only by your imagination. Let us build the fence that is tailored to your exacting needs and budget. A properly designed and skillfully crafted cedar fence can complement your home so naturally; it will look like it grew right in place. Call or email for a quote today! Solid Board - Available with a cap rail for an estate look, this style also can be arched or scalloped for a flowing look that highlights the post, which can be finished with a decorative topping. Choice of 4" or 6" boards. Tongue and Groove - This style of fence can be customized in many different styles and offers the benefit of being a double sided fence which is identical on each side of the fence. Shadowbox - This privacy fence allows breezes to pass through, looks attractive from both sides and is easy to build. Spaced-Picket - Popular for its versatility and perhaps the most traditional of American fences, it makes a good border while providing an open view. Lattice or Spindle Topped - This privacy fence allows privacy yet provides vision through the custom top. The open design breaks a strong wind into a light breeze. Stockade - Another popular early American style, it offers a classic New England look. Vertical Board on Board - Another privacy fence, its attractive design requires three rails with boards attached to each side. 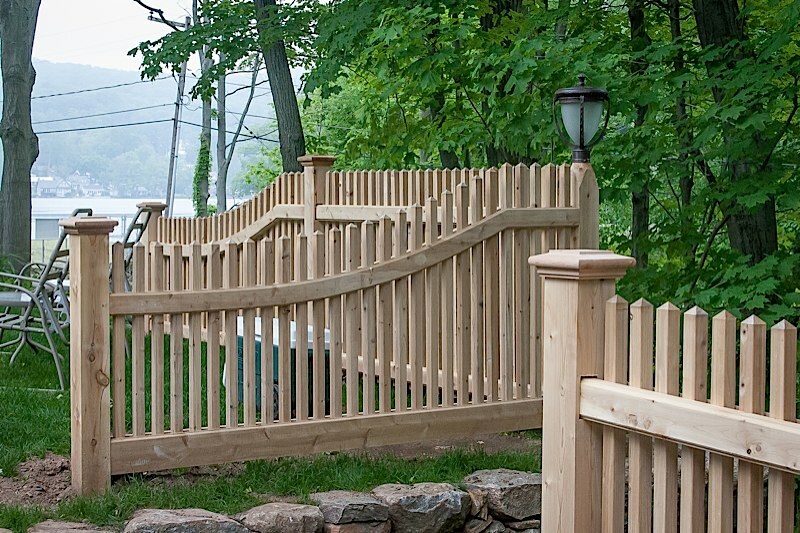 Cedar Round Rail - This fence combines an open view with exceptional sturdiness. The different types available allow you to create a unique look for your landscape. Add wire mesh inside the fence for containment of pets or children. Western Red Split Rail - Western Red Cedar in either two or three rail design. Locust Split Rail - West Virginia Split rail in either two or three rail design. A true Appalachian look. Ranch Rail - A popular look for equestrian containment. Wood Guard Rail - Traditional system for parking lots, parks golf courses etc.